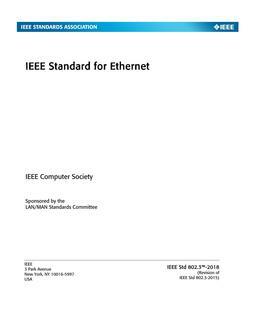 This standard specifies the air interface, including the medium access control layer (MAC) and physical layer (PHY), of combined fixed and mobile point-to-multipoint broadband wireless access (BWA) systems providing multiple services. The MAC is structured to support the WirelessMAN-SC, WirelessMAN-OFDM, and WirelessMAN-OFDMA PHY specifications, each suited to a particular operational environment. This standard enables rapid worldwide deployment of innovative, cost-effective, and interoperable multivendor broadband wireless access products, facilitates competition in broadband access by providing alternatives to wireline broadband access, encourages consistent worldwide spectrum allocation, and accelerates the commercialization of broadband wireless access systems. Revision Standard - Superseded. This standard specifies the air interface, including the medium access control layer (MAC) and physical layer (PHY), of combined fixed and mobile point-to-multipoint broadband wireless access (BWA) systems providing multiple services. The MAC is structured to support the WirelessMAN-SC, WirelessMAN-OFDM, and WirelessMAN-OFDMA PHY specifications, each suited to a particular operational environment. 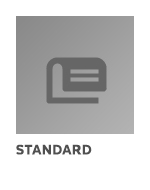 The standard enables rapid worldwide deployment of innovative, cost-effective, and interoperable multivendor broadband wireless access products, facilitates competition in broadband access by providing alternatives to wireline broadband access, encourages consistent worldwide spectrum allocation, and accelerates the commercialization of broadband wireless access systems.